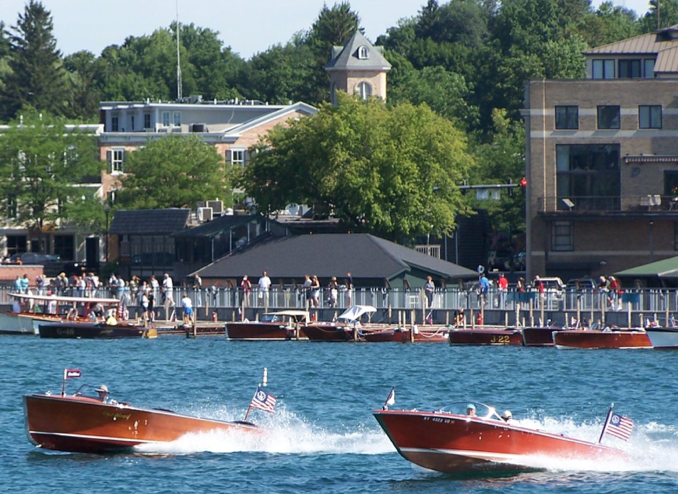 For over 20 years, the Boat Show has been held in Clift Park on the North Shore of beautiful Skaneateles Lake. It has become a summer tradition to many in the Finger Lakes. Slips are still available - send in your registration now! The site is in the center of town, convenient to many shops and restaurants. The Show is hosted by the Finger Lakes Chapter and the Skaneateles Area Chamber of Commerce Foundation. And...we have great news. The new docks are finally here and in place. Exhibitors will find it much easier to maneuver and secure their boats - the slips are two feet wider, the 'fingers' are 24' long and wider as well and the main dock is a full six feet wider allowing for a safer and more secure footing for all. 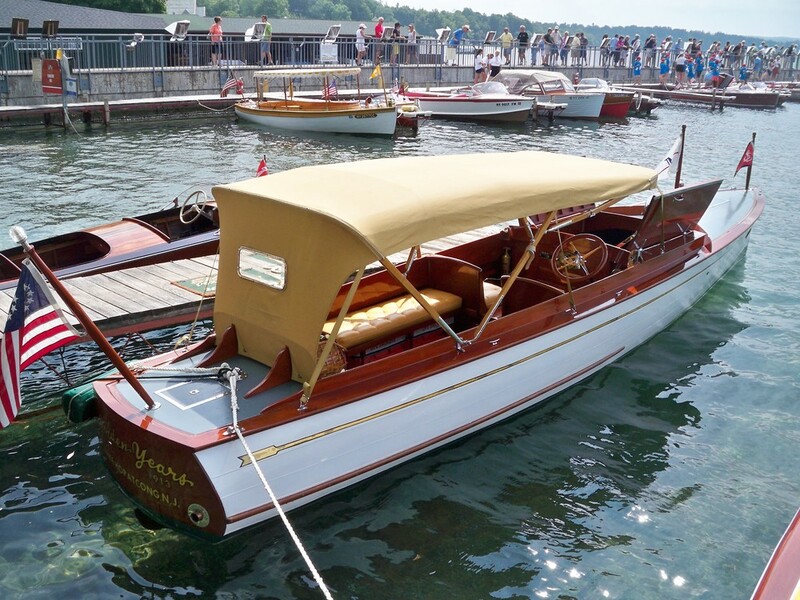 We feature a popular boat launching service where exhibitors are met at the launch ramp by our launch crew who carefully unload boats and then park cars and trailers for exhibitors so that they may enjoy the ride to town in their boat unconcerned about the disposition of their vehicle and trailer. At the close of the show on Sunday, the launch crew brings cars and trailers back to the ramp to reload the exhibitors’ boats. We have room for about 44 in-water displays with additional room in the adjacent park for land displays. A new, larger, dock system this year will provide a safe harbor setting for the Boat Show. Enter a boat in the 2016 Boat Show.